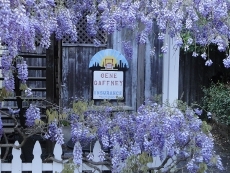 Open Door Insurance / Gaffney Insurance Services, Inc. Call Open Door Insurance / Gaffney Insurance Services, Inc.
At Open Door Insurance / Gaffney Insurance Services, we specialize in providing bonding services that help to protect the integrity of your business. Our Surety Bond services include writing agreements that guarantee the party requesting the bond that your business will uphold its obligations. Since there are many types of Surety products, it’s important to discuss your options with a licensed, professional bond agent. Our underwriting services are flexible to meet your unique business needs, and we specialize in a high-degree of customer care that will ensure maximum consideration for your assets. Contact a Bond specialist at Open Door Insurance / Gaffney Insurance Services today to keep your commercial responsibilities protected. Proudly serving Occidental, CA, Sebastopol, CA, Santa Rosa, CA, Guerneville, CA, Forestville, CA, Bodega Bay, CA, and surrounding areas.